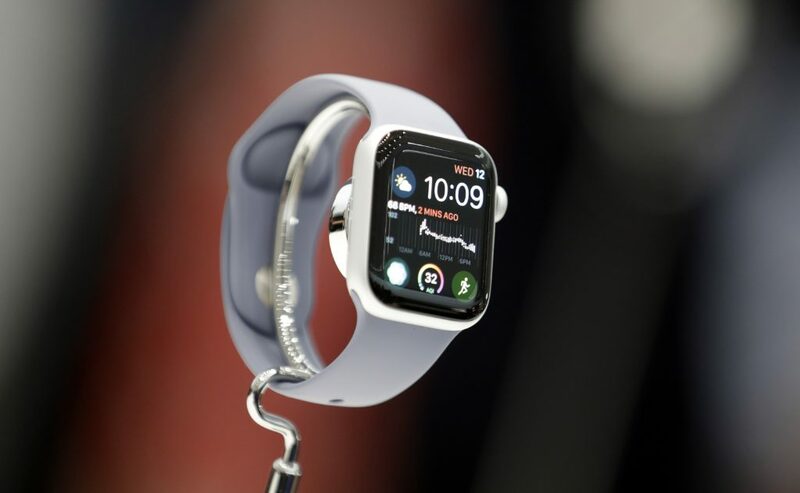 CUPERTINO — Apple is trying to turn its smartwatch from a niche gadget into a lifeline to better health by slowly evolving it into a medical device. Apple shipped another 7.3 million Apple Watches during the first half of this year, compared with more than 93 million iPhones. Since the Apple Watch launched in April 2015 , most people haven’t figured out why they need to buy one. Apple doesn’t release sales figures, but estimates from two analysts suggest the company shipped roughly 18 million of the gadgets in 2017. Apple sold almost 12 times as many iPhones — 216 million — that year. Apple shipped another 7.3 million Apple Watches during the first half of this year, according to Canalys Research, compared with more than 93 million iPhones. Apple CEO Tim Cook has long aimed to emphasize the health- and fitness-tracking abilities of the smartwatch. The original version featured a heart-rate sensor that fed data into fitness and workout apps so they could suggest new goals and offer digital “rewards” for fitness accomplishments. The feature will turn on automatically for users 65 and over; younger people can activate it in the settings. “I can see kids buying one for their parents and grandparents,” said analyst Patrick Moorhead of Moor Insights.